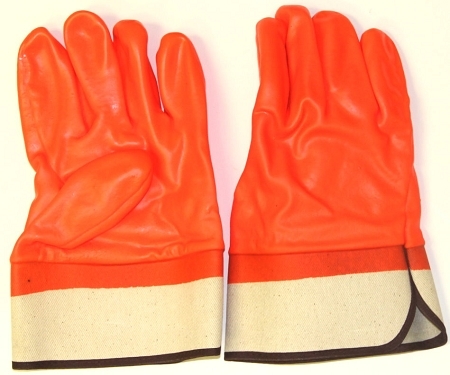 Fluorescent orange PVC glove. One pair. men's size Large. Fully coated. Foam lined. 2 1/2" rubberized safety cuff. Chemical resistant. Made in China.